Start a Facebook Fundraiser to Help Tripawds Everywhere! You can help Tripawds everywhere, by starting your own Tripawds Facebook Fundraiser! If you’re on Facebook, you can make a big difference by helping us reach our spring campaign goal of $4,000. 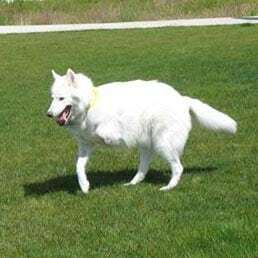 The first quarter of 2019 is over, yet the Tripawds Foundation has currently raised only one tenth of its annual fundraising goal. Tripawds Facebook fans have helped raise thousands of dollars over the years, by creating fundraisers for birthdays, the holidays, or to honor Tripawd Heroes and Angels. Here is your chance to help during this spring fundraising campaign to get helpful programs back on track. Our goal this spring is to reach $4,000 in donations between today and April 30. This will help keep our current direct assistance programs funded and our infrastructure going. And one of the best ways for it to happen is through the generosity of all our friends, family and supporters on Facebook. 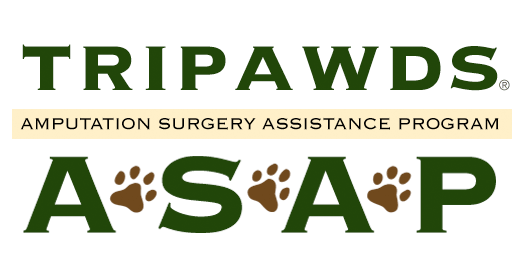 The Tripawds Gear Fund and more – with your help! Anyone can do it. It only takes a minute to launch your personal Facebook fundraiser for the Tripawds Foundation. 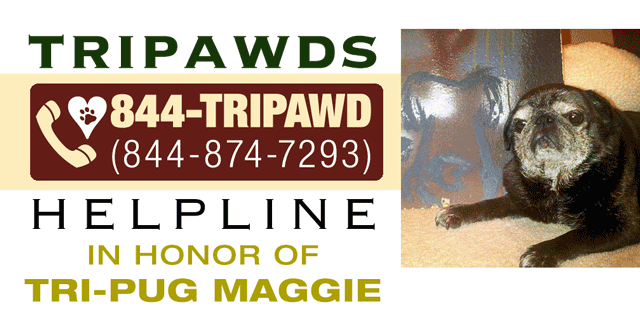 Step One: Visit this Facebook Page to Raise Money for Tripawds Foundation. 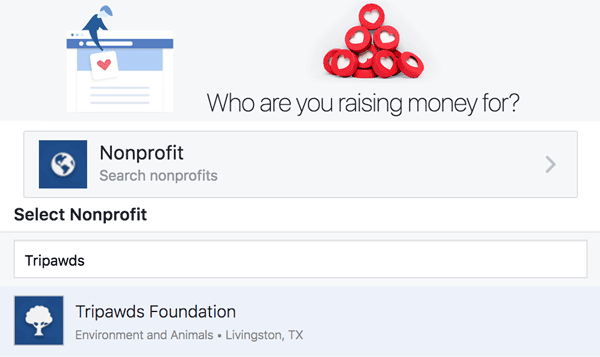 Step Two: Select Nonprofit, and Search for Tripawds Foundation. Be sure to set your Fundraiser End Date no later than April 28, 2019. Step Three: Share your fundraiser on Facebook. Post updates with cherished memories of your Tripawd hero’s accomplishments. Tell your story to inspire contributions from pet lovers you know. It’s easy! Everyone who starts their own Tripawds Facebook Fundraiser for the 2019 Spring Campaign will automatically get entered into a drawing to win a free Tripawds Goodie Bag! Just leave a comment below or contact us with the link to your Facebook Fundraiser and you’re in. Winner will be announced after the campaign ends on April 30 at 12 midnight Pacific. NOTE: When your fundraiser is complete, please be sure to send us a note with the amount raised along with a tribute and photo for the Tripawds Honor Roll. Tripawds does not receive donations from Facebook fundraisers for up to 90 days, and no donor information is included so we have no way of telling who created fundraisers unless you submit a tribute. On behalf of Tripawds everywhere, thanks for taking time to help us keep our community and programs up and running! I made a birthday fundraiser. Yay! Thank you. Got a link? A little late to the game since I’m not on Facebook much, but here’s our link to help!